Well done to our amazing super team, generous patients and community for the fantastic support of our super hero day – raising much needed funds for Muscular Dystrophy Australia http://superherodaymd.com/. Together we raised $373.95 – well done everyone and thanks for your support! Proudly Announcing the DMC Healthier Living Clinic! Congratulations to our wonderful Dr Nina Low!!! Congratulations to our delightful Dr Nina Low and her husband on the safe arrival of their first child, a beautiful baby! Enjoy this precious and magic time Nina! 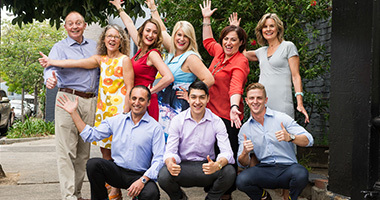 DMC proudly a finalist in 2014 Inner West Small Business Awards! We post health tips, updates on our practise and lots more information on our Facebook page. Keep up to date by liking us on Facebook.